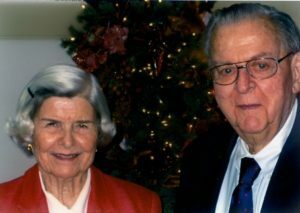 When Bill & Betsy Rawn passed away, the balance of their charitable reminder unitrust was given to the Pasadena Community Foundation to establish the Bill & Betsy Rawn Endowment Fund for Seniors in Need. The Rawn Endowment will provide support for seniors living in the greater Pasadena area. The Rawns were actively involved in Pasadena life and supported the work of the former Scripps Home which provided low income seniors with life care. Bill Rawn served on the Board of Scripps for many years. The Scripps Home closed, and the family asked the Pasadena Community Foundation to use the funds to provide grants to local organizations that provide services to senior citizens related to their health care needs.